Something really cool to see at the ACC Cross Country Championships. 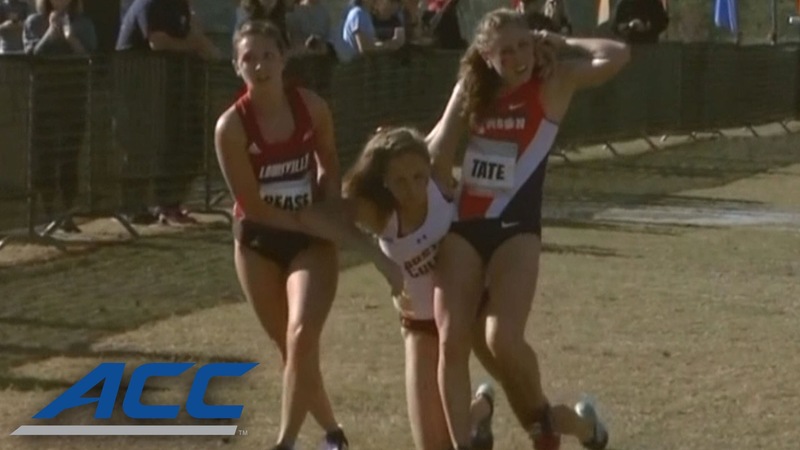 In a display of awesome sportsmanship, Louisville XC runner Rachel Pease and Clemson XC runner Evie Tate helped injured BC runner Madeline Adams cross the finish line after an injury during the meet. Cheers to you young ladies, proud of our Cardinal athletes. Check out the video below.